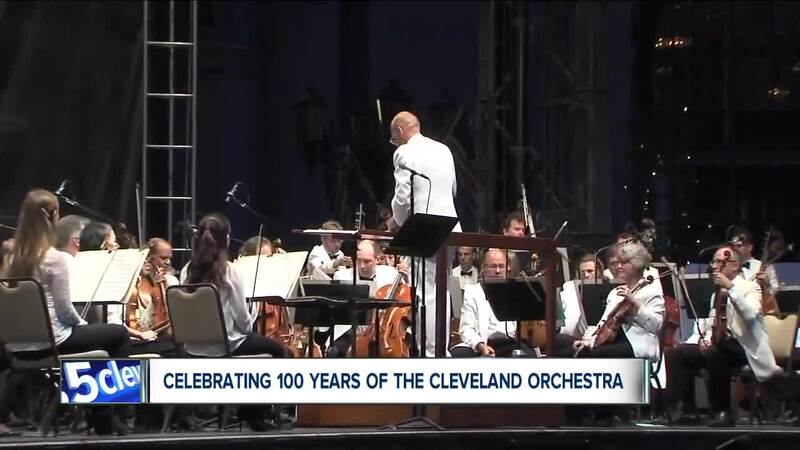 Since the Cleveland Orchestra played its first concert 100 years ago, the Browns, Indians and Cavaliers have all enjoyed championship runs, though the Cavaliers 2016 NBA title is one most were probably around to remember. Those teams all know the only thing more difficult than reaching a championship level of play is maintaining that level over time. That level of consistency is what has defined the Cleveland Orchestra over its existence. It's a level of excellence that will be on display at the annual Star-Spangled Spectacular on Friday evening on Mall B as the orchestra gets to share with its hometown its centennial celebration. The musical festivities get underway at 7 p.m. on the sloping grass of the Mall located between Public Hall and the Global Center for Health Innovation. The orchestra itself will take the stage at 9 p.m. followed by fireworks. "This is a way that we can say thank you to the community for its support over 100 years," said Joan Katz Napoli the Orchestra's Senior Director of Education and Community Engagement. "There's no way the Cleveland Orchestra could do what it does without the tremendous support of the community and we're so proud to carry the name of Cleveland around the world." The Cleveland Orchestra was formed in 1918 and played its very first concerts at Grays Armory before moving to the Masonic Auditorium while what would become its permanent home, Severance Hall, was under construction. With the move into Severance in 1931, the orchestra would grow in prominence, but it was in 1946 when Musical Director George Szell took over that the Cleveland Orchestra would begin a period of growth from one of the nation's best to one of the world's best. "George Szell certainly put us on the map so to speak and created what was referred to then as the 'Cleveland Orchestra sound,'" Katz Napoli said. "And we've had the good fortune to have a number of music directors since George Szell who have taken our orchestra to even greater heights." "We have the good fortune to be able to attract musicians from all over the world. We're considered one of the top orchestras in the world, so people want to come here to play with the Cleveland Orchestra and enjoy when they get here living in this community." "The orchestra just returned from a three-week tour of Europe and Asia, in many countries they refer to us as merely 'the Cleveland' and we have a very big fan base there and we love traveling, but our most important audience is here at home," she said. "The fact that we have such a small community able to support such a world-class orchestra is amazing and we couldn't be more thankful for that," she said. And in case those looking to fill the brick wall void across from Quicken Loans Arena where the 10-story LeBron banner once hung, Katz Napoli said it's a no-brainer! "It's an easy call for me. 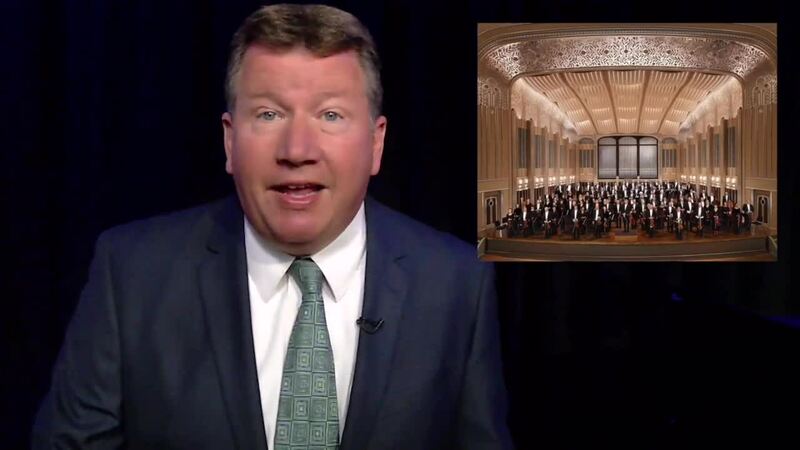 I think the Cleveland Orchestra should be on the side of the Sherwin Williams building, we're a winning team, year in and year out for 100 years."